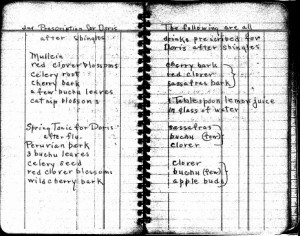 Whenever I, in another frenzy of research, dive into the bins of my family documents, artifacts, heirlooms, and memorabilia, I usually know what I’m looking for with little idea of what I’ll actually find, like my paternal grandmother’s herbal “recipes.” While there are more musicians in my family than medicine men or women, no one ever sang “A spoonful of sugar” to me as a child when I had to swallow my grandmother’s concoctions, decoctions, teas, infusions, tonics, and “prescriptions.” That I now remember crawley root tea in particular is evidence that it has indeed scarred me for life. 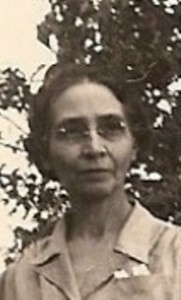 Grandmother Winifred Sturgis Lee Church (1884–1979) would be known today as an herbalist. In 1692 Salem, she’d have been accused as a witch for her knowledge of natural cures and medicines. Winnie spent her earliest years on the Kansas plains while her father farmed and grew wheat on his 300 acres. I suspect her knowledge of herbs, plants, roots, barks, and flowers came from her mother and contact with local Native Americans, including those in and around her home in Maine. Poor severely-shingled Doris. 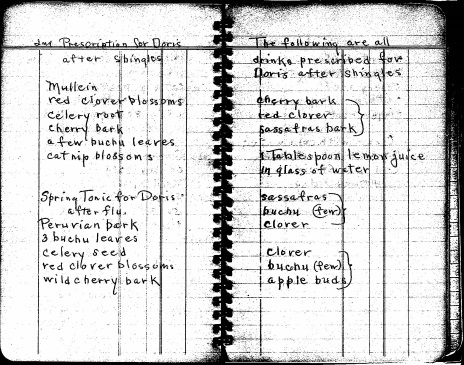 Apparently the concoction of beech leaves (“the dry leaves left on the tree in winter – not green leaves”), tips of cherry and some bark, sassafras bark, smartweed, and dandelion root brewed and served in a wineglass four times a day didn’t work, so then came an infusion of mullein, red clover blossoms, celery root, cherry bark, a few buchu leaves, and catnip blossoms. Bottoms up! The previously mentioned crawley root is botanically known as Corallorhiza odontorhiza, or scaly dragon’s claw, coral root, and chicken toe, all names to indicate the root’s appearance if not its gastronomic appeal. Winnie knew it would produce sweat and break a fever, as well as act as a sedative. I can tell you from personal experience that the stuff works . . . if you can swallow the astringent liquid, reminiscent of commercial fertilizer. Winnie never added that crucial spoonful of sugar or honey! I’ve researched all of these ingredients, and I knew my grandmother well enough to know that easing symptoms, not hastening misery, was certainly her intent. All of her herbs, flowers, and barks really do have medicinal properties and healthy, safe uses, with the possible exception of the cataract cure. You’re welcome to my portion! 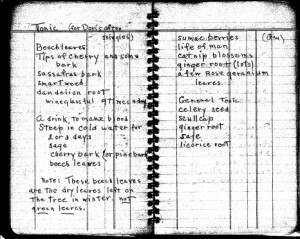 I enjoyed your posting on Folklore medicine….I too had a few of those old medicianl cures administered to me…….My mother had a few recipes from her french line(VT), but, she also depended on a doctor’s book that I believe she bought through the Watkins Co. and she embraced modern medicine….She took advantage of all 3 for her family. One, I remember was a milk/bread plaster. I had worn the back of a heel raw from wearing new shoes. She put that milk/bread warm plaster on the sore and covered it with flannel. The next morning there was not a sign of the soreness. It was like a miracle.! So I don’t know, that eye concoction doesn’t sound too far out for me!! And then there’s the superstition that I bet you could write on……..My mom was full of them…..Now we lived on a farm so we had chickens, free roaming chickens and wouldn’t you believe, that yes we’d get a rooster on our front step and he would crow……..and mom would say. We’re getting company…and we would….superstitions like that. Yep, she’d be a under suspicion for witchery too in colonial times.! I believe there was an ancestor or two of mine that was under that dark cloud in our history, AND on my mother’s side….Well thank you for giving me a space to respond to your interesting information Jan! Awesome post Jan! – Indeed, we can find so many treasures and so much knowledge in such remedies! Great post Jan! You have inspired me to dig out my grandma’s recipe book to see what “other” treasures she may have hidden there, besides her to die for cinnamon rolls! No recipe book in my family, at least not for medicine. I early understood that there were many things that women passed down from one to another, generation to generation. I grew up around my rural grandmother and her sisters, with various teas and ointments and certain foods for certain ailments, and thought it was just ordinary. But I was still amazed after I bought my first home as a young divorced mother. My mother came to visit for the first time, and had a good time, pointing out various plants and explaining what each could be used for. Plant after plant. She taught me how to tell the difference between similar plants, and the best way to prepare each of them. I understood that was her gift to me, and since have acquired similar gifts from other women. My children grew up with those remedies and are passing many of them on to their children. 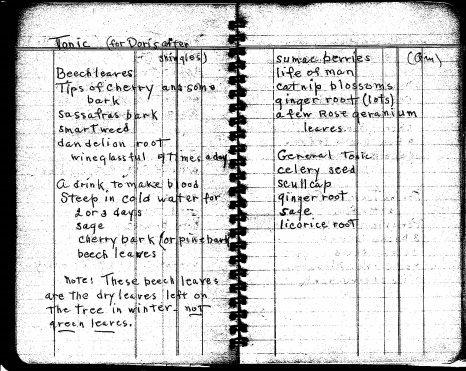 My granddaughter wants me to write down all my traditional recipes, both medicinal and food. I think I need to. A fun story, thanks. We’ve forgotten so much of that stuff. Keep in mind however that Corallorhiza and almost all other orchids are protected plants in many jurisdictions. Not that you made it sound the bitter brew sound tempting. At least she didn’t give you an infusion of the bark from a cascara tree. When I had a bad chest cold I always got a mustard plaster on my chest. I remember seeing blisters on my father’s back from a plaster that was left on too long! My grandmother, who I called “big Mama”, Annie Mae Cook, had a talent for using herbs and plants medicinally. I remember her ‘aciphyidra’ bags worn around the neck on a string, onion or mustard plasters for chest congestion, and sulphur powder sprinkled in your shoes to ward off ticks and chiggers. Love this post. I’m from PA and we are distant past Amish. My Grand mom raised me. She was born 1897. Ear ache? HOT salt in a sock held on ear. Mustard plaster! !I can still make one that will scorch your skin if on too long. Head congestion? Ground mustard seeds in hot water foot bath. They all work along with the rest I remember. For years I searched for the Rhubarb Syrup recipe that Grandma gave us when we had a stomach ache. I asked the herbalist at a restored village, but she knew nothing about it. I searched the internet….nothing. Then one day I opened a tin box that came from my sister’s house after she died and there it was, written in my mother’s hand. Rhubarb Syrup… Let 1/2 oz Rhubarb (not much!!) steep in 1 pt boiling water a few minutes. Strain and add 1c. sugar, 2 tsp peppermint, 1 heaping tsp soda (I assume that’s baking soda). The dose was a big tablespoon. It was probably the peppermint and soda that did the trick. I just h ad cataract surgery on my left eye, and the right one will be done soon. Going to share the cataract recipe with my surgeon. But I do have powdered sugar and skim milk . . .
My maternal grandmother, Lucy Demaris Crawley (nee Kennamer) had a repretoir of herb treatments. She told me she had learned some from her mother and others from a kindly black neighbor, Stella Ford, who in turn had recipes from HER mother, who had received some from a Creek American. I have had some classmates and friends tell me their kin had also obtained herbal remedies, especially from Cherokee who lived in this region.